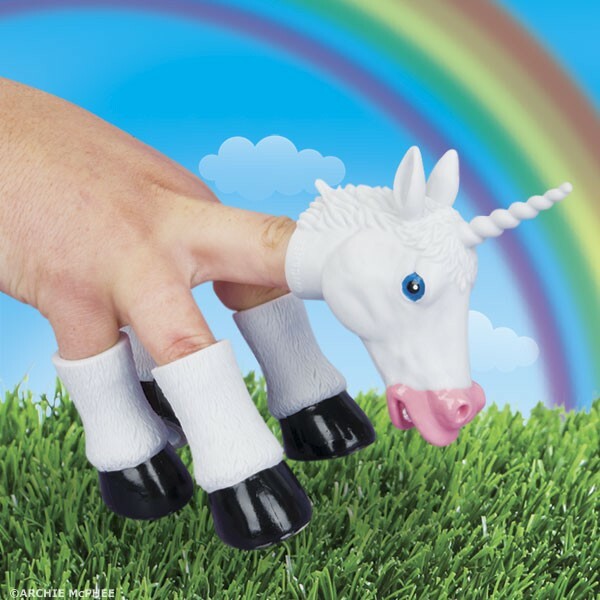 See, the thing about unicorns is they tend to want to run around a lot, and they poop Skittles all the time. It’s simultaneously delicious and annoying. 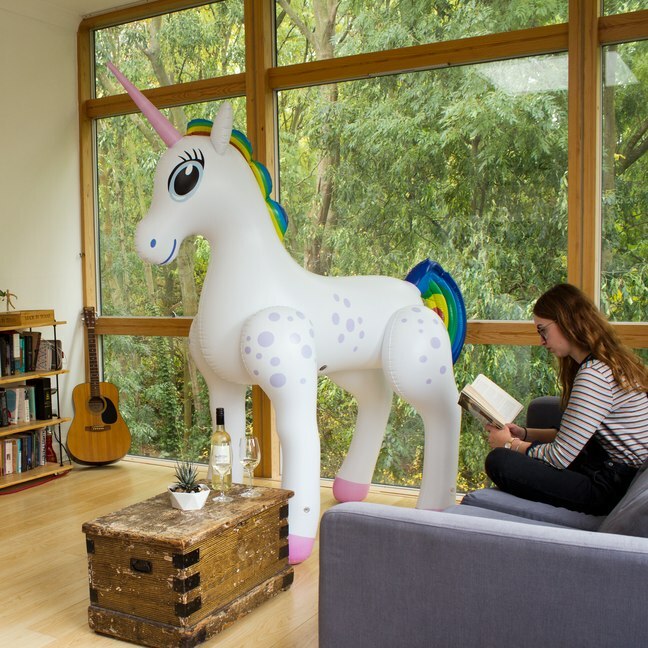 Better to opt for a calmer life and get yourself this Giant Inflatable Unicorn. 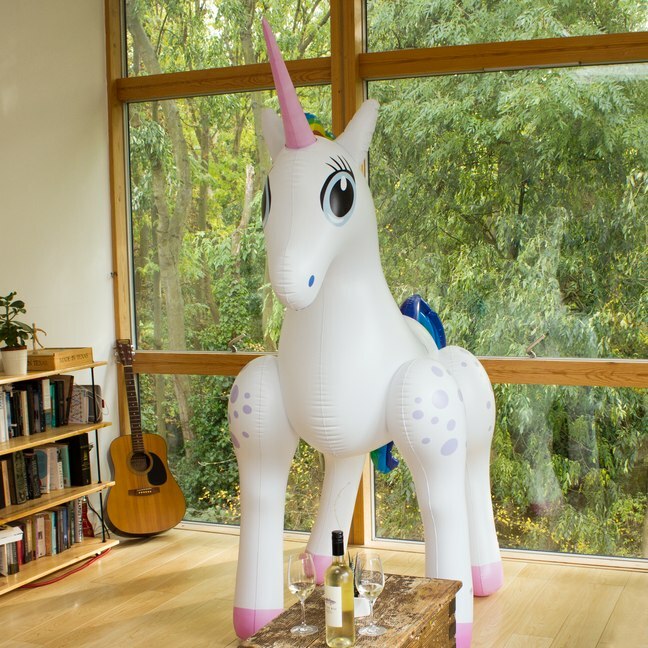 At 7 feet tall, it’s almost as big as the real thing. It doesn’t do a darn thing, and that’s kind of the point. You could use it instead of a Christmas tree, we suppose. It’s £49.99, which is roughly $62USD. 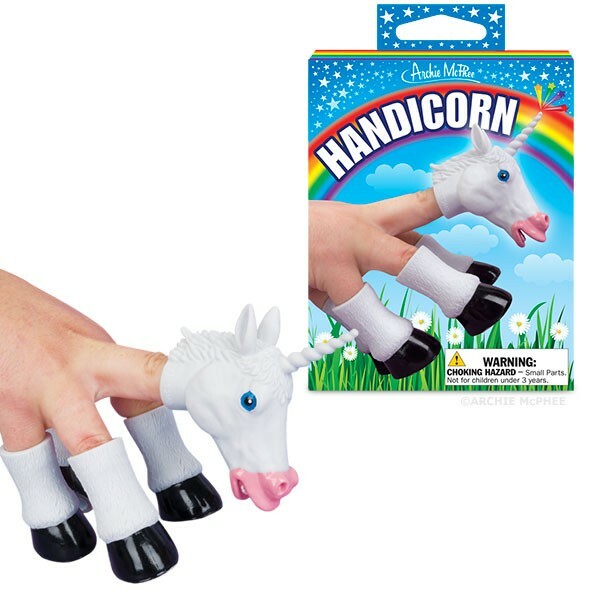 You’re looking at the Handicorn, a soft vinyl set of finger coverings that turn your hand into a freaky looking unicorn. The end. No really, that’s all it is. But we love it anyway. Just look at it. How can you not imagine wearing this on your hand while kicking up a little bag of glitter around the table, annoying everyone in your presence? It’s $6! Rainbow not included.